ART - just do it! : Fun with digital stamps and heart punchies! Looking for inspiration for Valentine's cards I got distracted with this hexagon digital stamp (SU - Lemonade Stand). I created several honeycomb patterns using the single hexagon in the digital set and added greetings and images from a image font (2Peas - Peas). The fun part of using an image font is that the images are instantly colourable!! For the first card, I added the "much love" image and coloured it red and left the honey comb pattern in black before printing it. 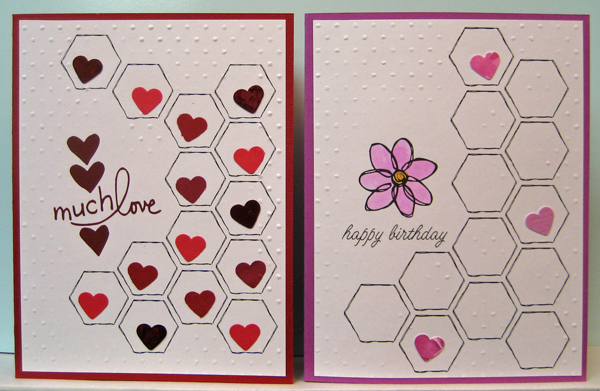 I trimmed it to size (4" x 5.25") and added heart punchies in each hexagon in a variety of red colours - the dark ones are actually shiny red which adds some fun to the card. Thinking it needed just a bit of something I did some manual embossing with a hammer around the edges and near the greeting using the Swiss Dot embossing folder (CB). 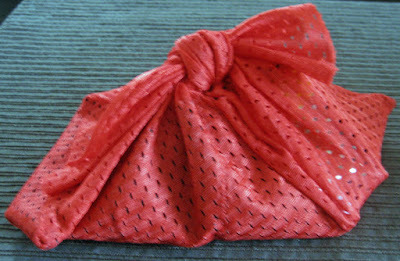 I glued this embellished layer to a red card front. A great card for anyone on Valentine's Day!! For the second card I added a cute little daisy image and a font birthday greeting, laser printed it and trimmed it to size. I added three little heart punchies and watercoloured the daisy to coordinate. Did a little manual embossing with a hammer before gluing it to a purple card front.